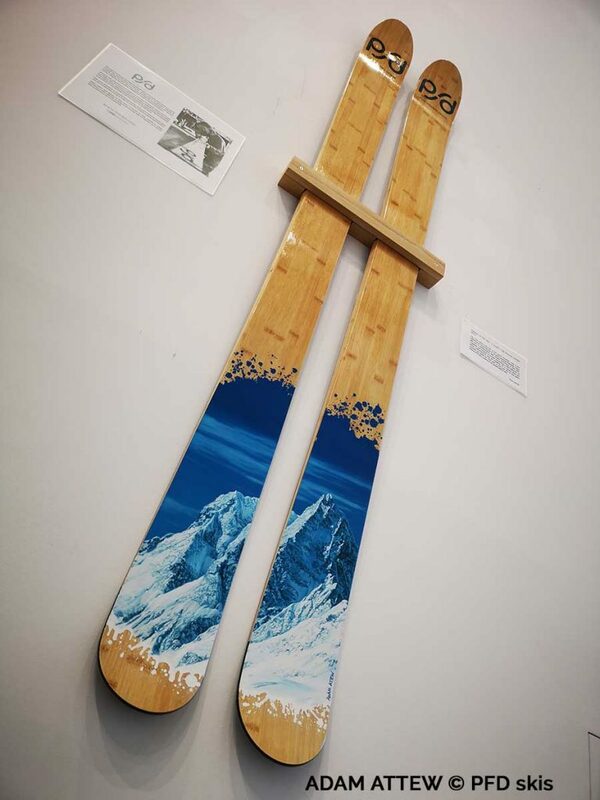 British ski brand PFD have teamed up with renowned Landscape Artist Adam Attew to create a partnership that brings craftsmanship and art together on limited edition sets of freeride skis. Attew has also launched an exhibition of his work in the ski resort of St Christoph, Austria. He will be showcasing his alpine art this winter at his inaugural solo show, which runs to the 1st of May 2019, in the ‘Cathedral Gallery’, the highest art exhibition space in the Alps at the Arlberg Hospiz Hotel, St Christoph. The paintings, prints and skis cover various countries from Sweden to Canada, but the local Austrian Arlberg region features heavily in this particular collection. The skis are available to purchase through direct orders to Adam Attew or PFD Skis.